Lettuce is one of the vegetables that is tasty and much in demand because it is suitable to be eaten with sambal or processed other dishes. These vegetables have many nutrients such as Vitamin A and Vitamin K which are very high. 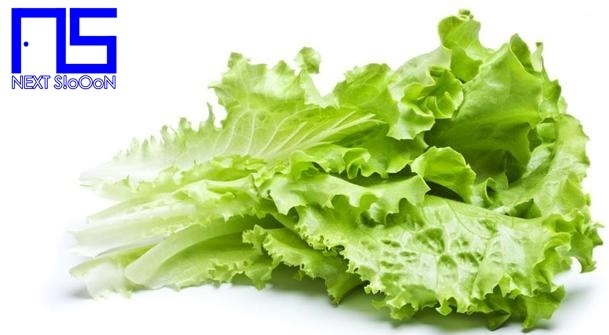 Vitamins in lettuce reach 82% Vitamin A and 60% Vitamin K. In addition, lettuce leaves also contain various important nutrients such as iron, potassium, calcium, folate, and fiber. Lettuce is also very safe because of the low fat content, so it will not make fat if eaten in large quantities. Lettuce leaves are rich in folate. In your body, folate functions to process amino acids called homocysteine ​​in the blood. While levels of homocysteine ​​in the blood that is too high can cause various problems in the heart. Lettuce is very good for Heart Health and keeps the Heart healthy, you can process it with a mixture of Meat or Fish. In addition, the content of Vitamins A and C functions as an effective antioxidant against free radicals while preventing damage to cells which can lead to heart disease. The content of Vitamins in Vegetables Lettuce serves to protect immune cells against viruses and bacteria that cause disease. The content of vitamin A is also able to relieve infections, inflammation, and cell damage. The body is more immune and strong so it is not susceptible to diseases such as diarrhea due to consumption of spicy or unhealthy foods. Lettuce can neutralize toxins in the body so that it is very beneficial for the body to stay healthy and strong. Lettuce contains a lot of Vitamin A, very beneficial for skin health in the body. Vitamin C is useful for the skin to stay tight and not wrinkled. Keeping skin healthy and youthful, lettuce is very good for Skin Health in the Body. Lettuce can also be consumed raw, the taste is fresh and tasty. Good for consumption in the morning, you can also process it into delicious dishes. Vitamin A content for eye health, keep eyes clean and white. Lettuce contains very high Vitamin A which is useful for preventing the risk of glaucoma, cataracts, and decreased vision due to the aging process. Lettuce that is high in vitamin A can help you keep your eyes healthy and sharp even as you age. The content of Vitamin K in lettuce is beneficial for bone formation and density. So that the bones are not easily porous. Lettuce also contains a lot of Calcium which is good for bone growth and maintaining bones from various diseases such as bone loss, osteopenia, or osteoporosis. Regular consumption of lettuce and exercise to maintain bone health. You also often find Lettuce in Burger or Hot Dog food. 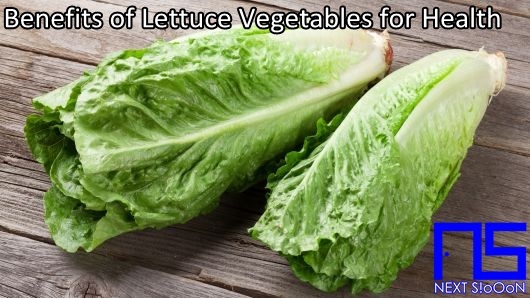 That is the benefit of Lettuce Vegetables in the body, hopefully it is useful. See also the benefits of other vegetables for health. Thank you for visiting Next-Siooon (NS). Keyword: Lettuce Vegetables, What Is Lettuce Vegetables, Understanding Lettuce Vegetables, Explanation of Lettuce Vegetables, Benefits of Lettuce Vegetables for Health, Benefits of Lettuce Vegetables for the Body, Nutrition of Lettuce Vegetables, Vitamins for Lettuce Vegetables, Vitamins and Lettuce Vegetables Nutrition for Body Health, Get a Healthy Body with Lettuce Vegetables, Information about Lettuce Vegetables, Complete Info about Lettuce Vegetables, Information About Lettuce Vegetables, How the Nutrition of Vitamin Lettuce Vegetables is, What are the Benefits of Lettuce Vegetables for the Body, What are the Benefits of Lettuce Vegetables for Health, the Benefits of Lettuce Vegetables for Humans, the Nutrition Content of Lettuce Vegetables provides many benefits for body health.